You're thinking of training in Teaching English as a Foreign Language. How do you find a reputable trainer? Your time and money are precious. When you decide to spend both on yourself you want to be sure you're making a wise investment in your future. We'd like to explain why trusting TEFL Express with your path forward is the best choice you could make. Our full spectrum of online and classroom courses are extremely well structured and ingeniously designed for effective learning. In fact, you may feel so comfortable on your sofa you forget that they're part of a much larger centre of learning. While you're studying under your duvet and sipping a cappuccino, fellow students are putting their teaching skills into action in one of our many classrooms. TEFL Express courses are independently accredited by ACCREDITAT, specialists in accrediting TEFL/TESOL training courses. Having an internationally recognised, independently accredited teaching certificate means that you can have confidence in us as a training provider and that potential employers will have confidence in the training that you've received. As well as the huge choice of online TEFL courses we offer, we run many renowned classroom courses in our network of over 100 well established and highly respected schools in Britain, Central Europe, Russia, Uzbekistan, Kazakhstan, Vietnam and China. We are part of the Language Link group and bring you the vast experience, true dedication and excellent reputation Language Link have built over the last 35 years. Established in 1975 in London, Language Link schools are accredited by the British Council, the principal accrediting body for Language teaching in Britain, and are members of English UK. Our classroom based CELTA programmes have been accredited by the University of Cambridge ESOL since 1990. Our 35 years TEFL teaching experience is unrivalled. We've also been running our schools around the world for over 20 years. How does this experience benefit you? All our course writers are experienced teachers and experts in their profession. Between them, they clock up 100 years in teacher training! We've covered every option you can think of in TEFL learning - from short, flexible study anywhere you like up to 17 weeks focused classroom training. All our online courses, from a dip-your-toe-in-the-water 20 hour choice right up to fully fledged teacher trainer option are of the same international standard as our Cambridge ESOL accredited CELTA courses. We have a dedicated, easily accessible support team of qualified CELTA tutors with many years overseas teaching experience. Their job is to help you realize your short term goals and long term ambitions by being there for you in any way they can during your study. Our network of 100 schools in the UK and overseas not only reassures you of our proven experience - it means, once qualified, you can avail of the many exciting career opportunities open to you within a supportive organization you're already familiar with. We're so confident of the excellent standard of our courses and of the graduates we produce, we offer employment to a great many on graduation. As well as our experience and reputation we feel the best endorsement TEFL courses could have is how your TEFL Express qualifications are rated and received by teaching institutions out there in the world - your future employers. We're proud to say our good practice, professional standards and unrivalled reputation means TEFL Express graduates are instantly recognised in the English teaching world as excellently trained, confident and relaxed teachers. They are eagerly welcomed as an asset to any classroom. Your TEFL training is your letter of introduction that needs no further qualification and opens many doors. 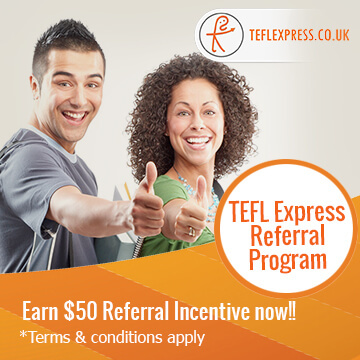 Whatever level of training you're thinking of, you couldn't be in better hands than TEFL Express. Give us a call today. One of our friendly team would be delighted to welcome you on board. 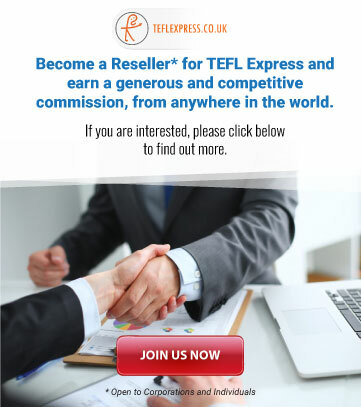 While there are no official pre-requisites to take the TEFL Express course, you do need to have a good command of the English language, both written and oral. We recommend that non-native English speakers are at CAE level as a minimum. If your English is not to a sufficient standard then you'll struggle to pass the course and secure a job as an English teacher. We always recommend that if in doubt, non-native English speakers should contact us for additional advice. You don't need to be degree qualified to take a TEFL course but it will be useful when applying for teaching positions in certain countries like Japan and South Korea where a degree is required to qualify for the correct work visa. There are thousands of ESL jobs open to non-degree holders all over the world, check out a few of the popular destinations on our blog. When you start looking for teaching positions having gained your TEFL qualification, the exact requirements of each job you consider will depend on the country and school you're interested in. How you perform at interview stage is important as well as your credentials. The more time and effort you put into your TEFL training, the more you'll gain from it. If you're seeking a paid TEFL job its recommended to complete a minimum of 100 - 120 hours training. This will equip you with the skills needed to apply for job tops. 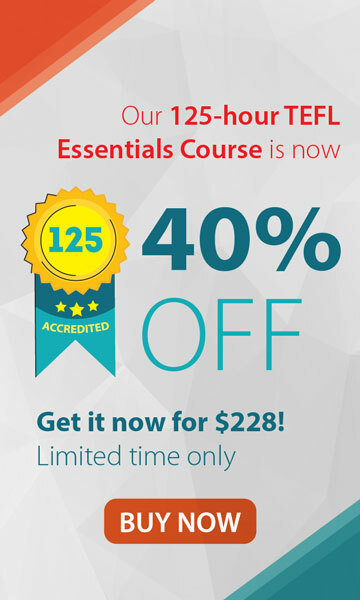 Our most popular training courses are the 150 hour TEFL Essentials Course and the 150 hour Deluxe Online Training Course. If you're thinking of TEFL as a long term career, we highly recommend the Cambridge CELTA programme. You can study 4 weeks full-time or take a slower part-time option. Completing your CELTA qualification equips you with a very impressive teaching qualification that all international schools eagerly welcome as well as those in native English speaking countries.